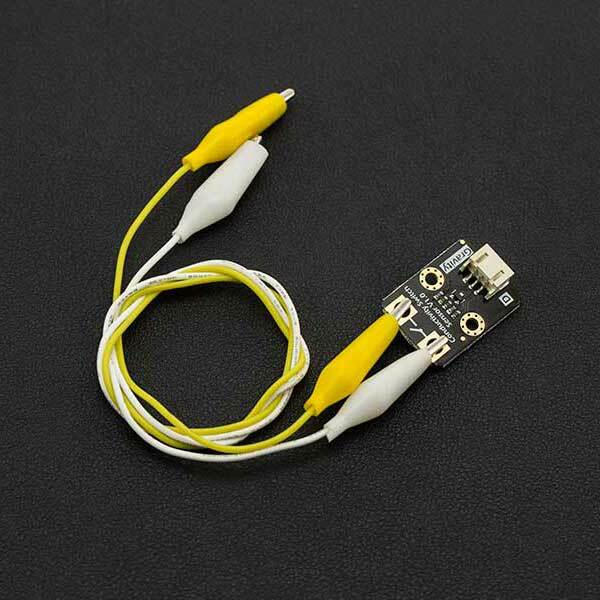 The Gravity Conductivity Sensor Switch module can be used to detect if an object has electrical conductivity. Its maximum detection value is 10MΩ. It can detect not only coins, wires, metal and other good conductors, but also the human body, fruit, plants and other conductors. In this section, we'll introduce a game named "Ice-Breaking". In this game, All participants needs to hold another people's hands until the LED ON. LED 13 will be light on, if you hold the others hands. In the game section, you can replace led with relay to control light, pump or other actuator. ALSO, you can replace yourself with banana, apple, orange to make interesting project. 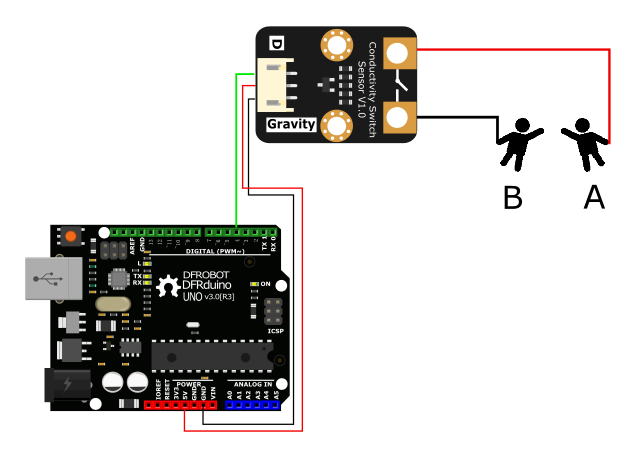 Shopping from Gravity: Conductivity Sensor Switch - DFRobot or DFRobot Distributor.